If you're searching for a great place to retire, Smyrna, TN should be on your short list. In fact, this small town of 43,060 was named one of the best places in the US to retire according to U.S News & World Report. You don't have to be in your golden years to enjoy living in this beautiful community, however. Smyrna homes for sale offer residents access to historic sites, rural charms, and delicious dining. Despite its rapid growth in the last 20 years, Smyrna is here to stay. Why are so many homebuyers calling Smyrna, TN home? This growing town has seen a tremendous amount of new development in recent years, yet it still affords a lower cost of living than the national average. Its family-oriented environment, low crime rate, and affordable real estate is drawing everyone from young families to retirees. 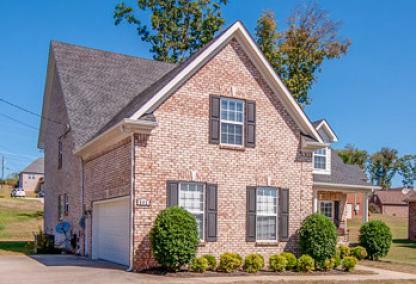 If you're in the market for new homes for sale in TN, Smyrna has a healthy stock of new properties to choose from. Homebuyers can find a great selection of turn-key homes, in addition to a good supply of vacant land. Don't let Smyrna's small size fool you. There's more to this friendly town than meets the eye. Smyrna residents love having 10 parks located throughout the community. Take advantage of numerous sports fields and recreational facilities like the popular splash pad in Gregory Mills Park. Smyrna's Town Centre another source of recreation with a public fitness center featuring an Olympic-sized pool. In addition, Smyrna residents can tee off at Smyrna Municipal Golf Course, an 18 hole regulation course designed by Ed Conner. Included below are homes for sale in Smyrna. If you would like more information on any of these Smyrna homes for sale, just click the "Request More Information" button when viewing the details of that property. We can provide you with disclosures, past sales history, dates and prices of homes recently sold nearby, and more. And, if you haven't already, be sure to register for a free account so that you can receive email alerts whenever new Smyrna homes for sale come on the market.